“What an amazing journey it has been! 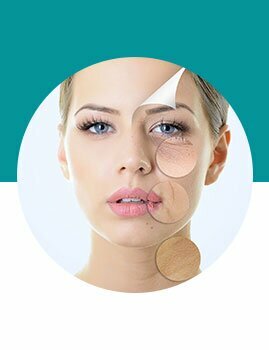 I have been with Laser Loft since 2014, struggling with Pimples, spots, wrinkles, bags under my eyes and everything else you can think of that was going wrong with my face was wrong. My journey started with acne treatments, moved to laser & peels then for the Past 3 years moved to monthly facials only. Everywhere I go, I am complimented about my Skin. I have recommended friends, family and colleagues. They have never looked back. Their products are amazing. DARK CIRCLES MAKING YOU TIRED AND OLD? Dark eye circles and sagging bags are a common problem and can leave you looking 10 years older. 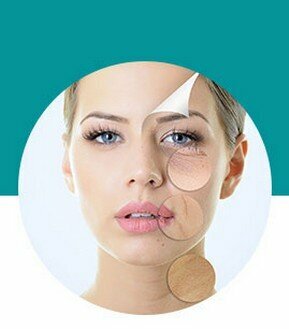 But before you choose a treatment for this “tired skin” - it's important to determine the cause. Take a look at your dark circles in natural light (outside) to determine whether you have a blue hue with visible veins and capillaries OR a brown speckled hue OR a combination of the two. • Blue Circles: these result from oxygenated blood pooled beneath the skin. Skin here is very thin and almost transparent, so blood shows through. This is more noticeable in the morning: When we’ve been horizontal for a while, fluids accumulate and the veins expand to hold more blood. Blue circles may get worse with age. As we age, we lose volume and subcutaneous fat, which often masks blueness in youth. • Brown Circles: result from hyperpigmentation, triggered by chronic eye-rubbing, sun exposure, or genetics. They are most prevalent among Asian and African skin tones. An excellent combination of different technologies have been put together to combat the variety of contributing factors. Treatment is initiated at the clinic but results are accelerated when professional treatments are maintained with proper home care and a change in lifestyle.